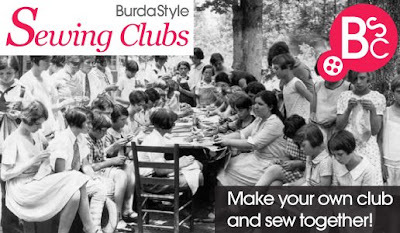 There has been quite a response regarding the Seattle BurdaStyle meetup so this should be fun! Stitches, and a weekend day, were the preferred location and day for most people that emailed me. They have classes on Sundays but Saturdays are wide open for us. I scheduled this first meeting at 2pm, but we can change the time of future meetings, the earliest option would be 11:30 am and the latest probably 4pm so we can be out of there in time for dinners plans, etc. I hope most of you can make it! See you then! Bummer I live so far away, sounds like it will be so fun. Boy, am I jealous! This sounds so good. ahhh, if I only lived in Seattle! Totally, utterly, completely upset that teleporting has not been invented yet! Wish I could be there - but I will be tuning in to see your updates. I'd like to come! I'm nowhere near the seamstress you seem to be, but I'm dying to know more sewers in the area!